Bricscad is a powerful yet easy-to-use DWG CAD alternative that offers a complete features set aimed towards professional users. 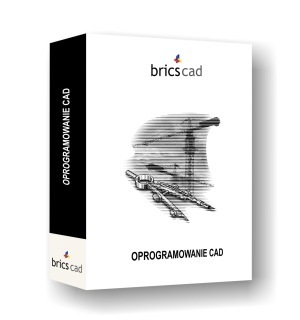 Bricscad reads and writes the DWG format and offers high compatibility with AutoCAD® 2009. Bricscad has a very recognizable intuitive user interface and requires no extra training. Dimensions are updated automatically when the geometry has changed. You can even dimension Model Space entities in Paper Space and see them being updated when you modify the entities in Model Space. In BricsCad, Dimensions can be linked to entity snap points such as endpoints, midpoints and perpendicular. Associative dimensioning applies to both linear and angular dimensions. Layer states let you save and restore configurations of layer properties and states. You might want a layer to display in blue sometimes and green at other times, or you need some layers to be off or frozen or locked when editing a specific part of a drawing. After composing the filter criteria you can choose to add the matching entities to a new selection set, add the entities to the current selection set or remove them from the current selection. Quick Select applies to the entire drawing or to a previously created selection. · Smooth fast view panning. · Cycling through entities during selection. · Hot Grip for multiple grip point modifications. · Snap Tracking with parallel alignment to Z-axis. · Snap option for user-defined offsets. · Creation of Gradient Hatches. · Rectangle with Area and Dimension support. · Block Units for insertion in different units. · Offset, Fillet, Chamfer and Trim improvements. · Wide range of variables with Fields in multiline texts. · PDF Export using plot style tables. · COM API for toolbar and menu customization. · Highly compatible with DWG 2007 file format. · Support for DWG versions 2.5 to 2009. · Full ACIS (3D solids) modeling. · Visual Basic for Applications (VBA). · Fast LISP engine with +450 VLAX functions support. · Highly compatible ADS/SDS API. · Highly compatible COM API.